I didn't get chance to post any photos yesterday, so I am posting yesterdays and todays photos together this morning. I will be limited on commenting today too as I am going to my regular keep fit class this morning, then a group of us are taking Elizabeth out for her birthday lunch and this evening I am going to the cinema. This is another photo taken at Morpeth. This sorry looking wishing well is in a garden near the café where we had lunch. I hope some kind person restores it to its former glory. What's the use of wishing when the well is in this state ! - a great find - poor thing !! Terrific capture, Babs. It sure is interesting looking. You're one busy lady Babs! 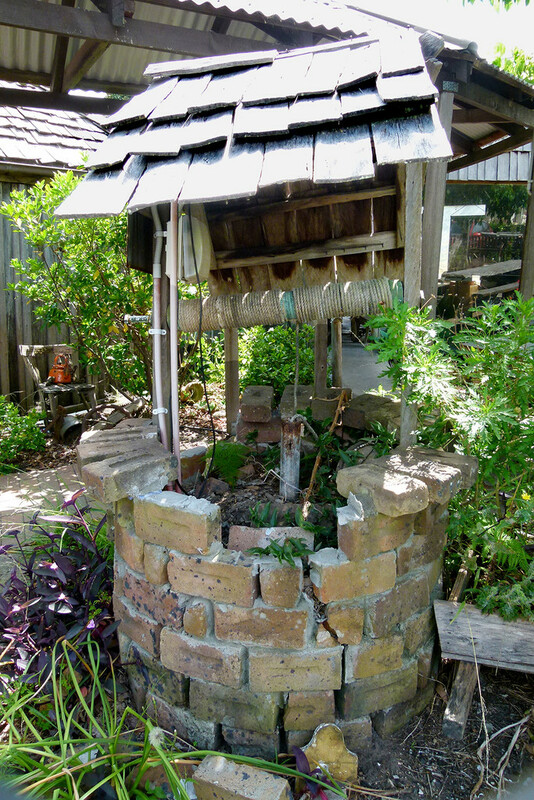 I do like wishing wells, this one would be lovely restored. Judging from what's growing inside it looks like the well has been filled. Perhaps it was out of water. It could still use some tlc on the bricks though. It is pretty sad looking. Oh dear, how sad. Great grunge though. A great shot of this once beautiful well, such a pity to see it like this. A little the worse for wear! Although this makes a great photo it’s rather sad to see it looking like this. It just needs a bit of tlc. Nice find. It definitely needs a lot of tlc. Think it wished to be a flower bed. You are a busy woman Babs! Aww well it’s sweet even though it’s falling apart! @beryl @mittens @Dawn @pcoulson @radiogirl @sailingmusic @kjarn @happysnaps @olivetreeann @golftragic @ludwigsdiana @chimfa @angelar @susiemc @brennieb @henrir @merrelyn @peterday @ziggy77 @jacqbb @louannwarren Thanks, sorry for the group reply again, but I have had a very busy week and Thursday and Friday were especially busy. Yesterday I went to keep fit class in the morning, a group of us took Elizabeth our for a birthday lunch and in the evening I went to a special showing of the movie The Map to Paradise with some friends at our local cinema. Here is a link to the movie if you are interested. I am not sure if wishing wells work, but my wish was that I get a free day at home and it seems to work because today is the day. I should be able to catch up on your photos today and tomorrow as I have a free day tomorrow too. Yay! It does seem to need some TLC. I would like to see this in B&W too!